Handles enrich our environment and increase accessibility. The Shakers went to great lengths to alter and improve their landscape, in part by grading land and paving sidewalks. This series of handles follows this spirit of refinement and attentiveness. It is not uncommon for other vessels to be used to water plants, yet the precise spout of a watering can makes it superior. 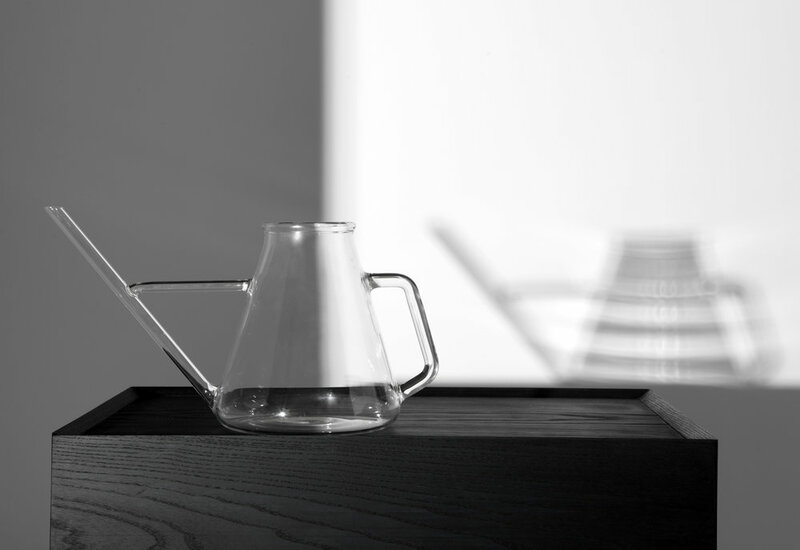 The transparency of the Glass Watering Can material allows the user to see the waterline, allowing plants to be watered in a focused and precise manner. Daniel Castillo is a New York-based industrial designer and a graduate of the Rhode Island School of Design. Castillo’s projects often start as a reaction to observing an object's peculiar use or construction. These observations are documented through forthright photographs. He develops his designs through comprehensive drawings and full-scale prototypes, each one yielding a logic to the design. Castillo works with industry to refine and question ubiquitous objects.